A release of the frozen solvent trapped inside a solidified gel occurs when the temperature increases, followed by a dissolving of a reactive substance present in a membrane that is located in direct physical contact with the gel, resulting in the reabsorption of the reactive substance dissolved in the solvent into the solid gel layer within a constant time. In this manner, the components generating color change come together within the solid gel layer initiating a reaction to change the color of the indicator layer. Thus, the increase in temperature above a melting point of the solid gel layer is enough to activate the intelligent label with an irreversible color change. 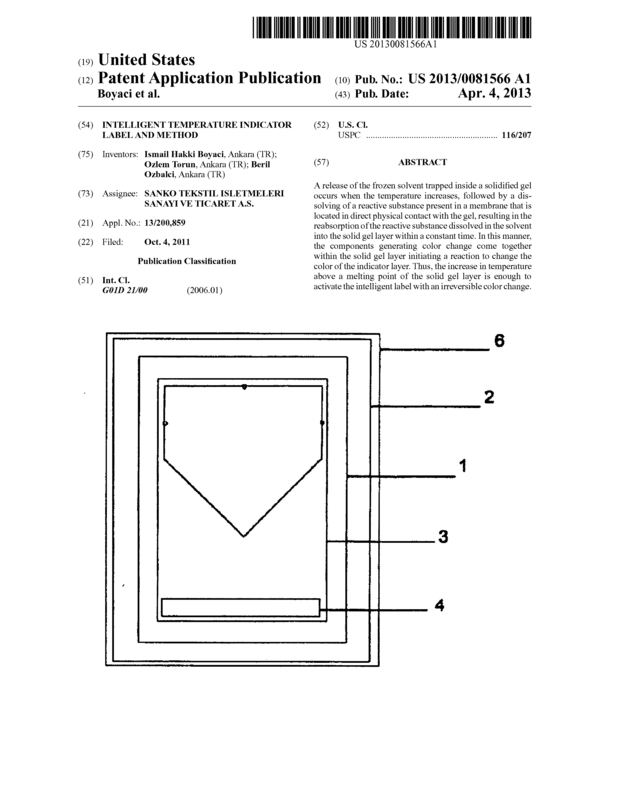 Page created at 2019-04-26 5:58:06, Patent Auction Time.